There is a huge good number of visitors from all over the world in Asia annually. The continent is reputable of her housing a large number of the top holiday destinations. The Asian continent has an unmatched hospitality level; hereby we will briefly point out on the top notch destinations for a great holiday. *Presence of most exciting destinations in Asia and China in particular include the Great Wall of China and the Giant Panda. *Beautiful city parks and entertainment spots from Beijing, Shanghai and Macau. *Royal Gardens, beautiful palaces, towering skylines and temples in Beijing. * Shanghai located river Yangtze’s mouth is the largest metropolis in the vast mainland, with a development into a modern hub of commercial activities, finance and history. * Shanghai is as well a great shopping city. *Macau on the other hand is a great historic place and the world’s heritage site where many tourists visit. *City is made up from the work of human endeavor and famous structures that took decades to build. *Most awe inspiring palace in Asia. *Greatest fame and beliefs on the wall. *one of the top attractions in the world, the great wall is a must see in Asia. *Often named the “Northern Capital” of China. 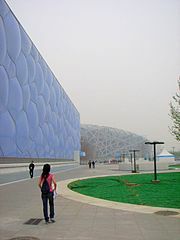 *A melding of old and new, Beijing has the Birds Nest stadium and the Heaven temple, Tian’anmen and the CCTV tower. *Culture, religion, political and economic forces in the city make Beijing a favorite destination for Asia. *This is the smallest of all countries in the South Eastern parts of Asia, despite the size there are enormous top destination places. *Shangri La is a popular holiday location in Singapore with splendid surroundings and often called an “earthly paradise”. This is a wonderful country in the South of Asia, blessed with a good number of natural attraction factors. *Beautiful mountains, stunning sandy beaches, famous national parks are major touristic places in Malaysia. *This is Thailand’s largest island, well reputable for its best beaches in the country. *Snorkeling, Swimming sites, yatch rides; diving, para-sailing as well as jet skiing is famous in the beautiful island. *Sea canoeing at the Pha Nga Bay is another interesting activity in the island. This is another famous beach resort in Thailand, Koh Samui started attracting a lot of tourists this makes it highly crowded during holidays. *There are cuisines and spas where tourists can relax if beaches get too crowded. *Another beautiful beach in Thailand which is worth a visit, the population is low with about 18,000 people, therefore calm and peaceful. *Moscow is opposite to Tokyo, not stuck with history the city remains a gargantuan edifice of history and religion. *Roots on incredible architecture to behold. *Kremlin in Red Square and the St.Basil’s Cathedral are often the focus in Moscow. *This should be part of your journey, the railway straddles the spine of Russia, with an epic link between Vladivostok and Moscow cities. Making your journey the airport easier and more relaxing, you may book or ask for any help from the manchester airport contact. Asia will remain one of the best cost saving travel destinations in the world, with beautiful places that are only in Asia. Make the most of your journey, make the most of Asia.